Thank you very much for your visiting and shopping at BOKUNAN-DO. This pot was founded by our customers, who kindly left some changes to BOKUNAN-DO. We would like to donate this for Japanese Traditional Art and Craft's continuation and development. there will be any difference between our estimated shipping cost and actual one, may we donate the difference to Traditional craftsmen Association and or to other prefecture's Craftsmen Association not only Tokyo. Thank you very much for your understanding. Now, Japanese craftsmen struggles with sweatshops's similar items. We would like to support Japanese Traditional arts. Your kind and heartwarming support this idea, would you please choose "agree" when you check out the order , or if you come from our new web shopping store, would you please leave a message to us "donate". Thank you very much everyone! Matthew Bernal (NH / USA) Thank you very much as always. Joel Rivera (CA/USA) Thank you very much as always! Nihon-Kogeikai , founded in 1955, organized by artists and craftsmans including National Living Treasures, owners of Important Intangible Cultural Properties, which is given and defined by the Japanese government. This organization covers all Japan , studying and make every efforts for preservation and development of Japanese (Or districts') traditional arts and crafts.They toss an annual exhibition with Japanese gov. 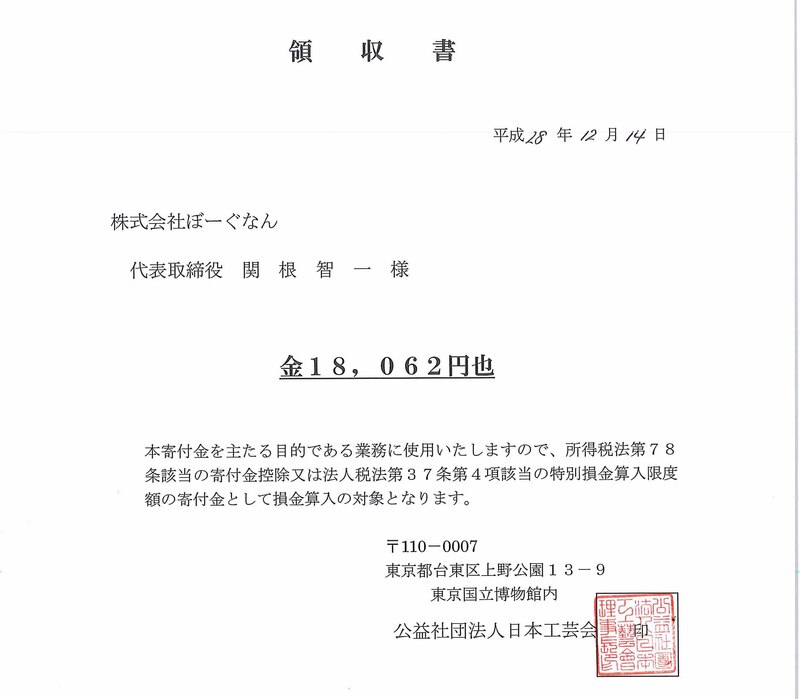 BUNKA-CHO (Agency for Cultural Affairs), National public broadcasting organization, NHK(Japan Broadcasting Corporation) and one of the biggest Japanese News Paper company, ASAHI - SHIBUN.